Baseball great, Dave Parker, was born June 9, 1951 in Calhoun, Mississippi. Parker was the first baseman for the Pittsburgh Pirates. 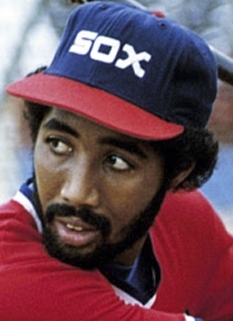 He was the 1978 National League MVP and a two-time batting champion. Dave Parker began his career on July 12, 1973 with the Pittsburgh Pirates, for whom he played from 1973 to 1983. In 1977, he was National League batting champion, a feat he repeated in 1978 when he was named the National League's MVP. The Pirates rewarded him with baseball's first million-dollar-per-year contract. 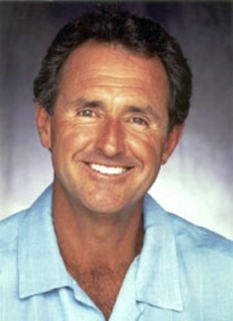 The following year, he was an instrumental part of the Pirates' World Series championship team. In 1981, at a point in his career when it looked like he would one day rank among the game's all-time greats, Lawrence Ritter and Donald Honig included Dave Parker in their book The 100 Greatest Baseball Players of All Time. 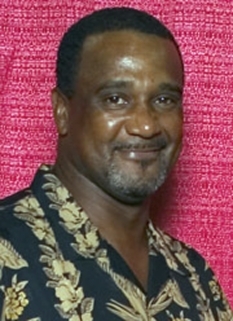 The authors, noting that Parker had succeeded Roberto Clemente at the position, wrote, "Someone must have a fondness for right field in Pittsburgh." 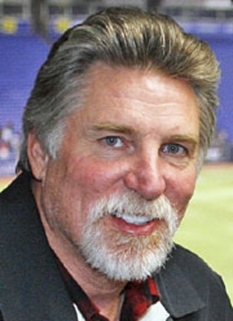 At the end of the 1983 season, Parker became a free agent and signed with the Cincinnati Reds. In Cincinnati, he returned to the form that made him an All-Star in Pittsburgh. In 1985, he enjoyed his best season since he won the 1978 MVP with a .312 batting average, 34 home runs, and 125 RBI. Parker finished second in 1985 MVP voting to Willie McGee. After the 1987 season, Cincinnati traded Parker to the Oakland Athletics for José Rijo and Tim Birtsas. 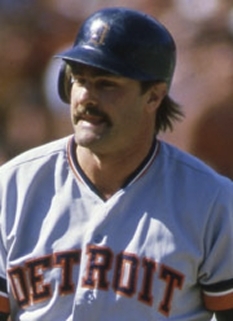 In Oakland, Parker was able to extend his career by spending most of his time as a designated hitter. Although injuries and age caught up to him to a degree -- he hit just .257 with 12 homers in 377 ABs in 1988 and .264 with 22 homers in 553 ABs in 1989—his veteran leadership was a significant factor in the A's consecutive World Series appearances. Dave Parker signed with Milwaukee for the 1990 season and had a solid season as the Brewers DH with a .289 average and 21 home runs in 610 ABs. However, Milwaukee opted for youth at the end of the year and traded the aging Parker for Dante Bichette. Parker's last season was 1991. He played for the Angels until late in the season when he was released. Toronto signed him as insurance for the pennant race, and Parker hit .333 in limited action. However, since he was acquired too late in the season, he was not qualified for inclusion in the post-season roster thus was unable to play in the American League Championship Series against the Minnesota Twins (Which Blue Jays eventually lost in 5 games). At the end of the year, Parker retired. His career statistics are comparable with those of many Baseball Hall of Fame members, though he has not yet been elected. Some career achievements include 2712 hits, 339 home runs, 1493 runs batted in and a lifetime batting average of .290. Parker was also known as a solid defensive outfielder with a powerful arm. From 1975 to 1979, he threw out 72 runners, including 26 in 1977. Dave Parker was a baseball All-Star in 1977, 1979, 1980, 1981, 1985, 1986, and 1990. In the 1979 All-Star Game, Parker showcased his defensive ability and powerful arm by throwing out Jim Rice at third base (Rice tried to stretch a bloop double into a triple) and Angels catcher Brian Downing at home on a base hit by Graig Nettles. The latter play squelched an American League rally. Parker also contributed an RBI on a sacrifice fly and was named the game's MVP. 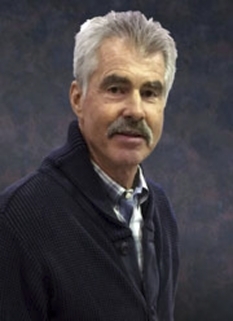 Parker served as a first-base coach for the Anaheim Angels, then as a batting coach for the St. Louis Cardinals in 1998 and a special hitting instructor for Pittsburgh. As of 2008, Parker owns several Popeye's Chicken franchises in Cincinnati. 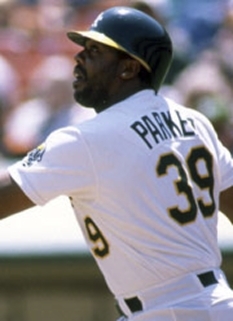 DISCLAIMER: PFP Sports Talent Agency does not claim to represent itself as the exclusive agent for Dave Parker. PFP Sports Talent Agency is a booking agency that represents organizations seeking to hire pro athletes and sports personalities such as Dave Parker for speaking engagements, personal appearances, product endorsements and corporate entertainment. Fees on this website are estimates and are intended only as a guideline. Exact fees are determined by a number of factors, including the location of event, the talent’s schedule, requested duties and supply and demand. PFP Sports Talent Agency makes no guarantees to the accuracy of information found on this website and does not warrant that any information or representations contained on this website will be accurate or free from errors. We are often asked how can I find out who is Dave Parker's agent? To find Dave Parker appearance fees and booking agent details, you can contact the agent, representative or manager through PFP Sports Talent Agency for speaking fee costs and availability. PFP Sports Talent Agency can help your company choose the ideal sports personality for your next marketing campaign. To hire Dave Parker for an appearance, speaking event or endorsement, contact Dave Parker's booking agent for more information.